In under a month I will looking at lots of great birds at the 17th Annual Space Coast Birding and Wildlife Festival. I can’t wait – two years between visits is too long. I want to see Limpkins and Snail Kites and American Alligators and Yellow-throated Warblers and Painted Buntings and this list could go on for quite some time. I thought it would make sense to share which trips I would be on so if any of my legion of adoring fans (Hi mom!) wanted to join me on a field trip it would be easy to do so. Of course you would first have to register for the festival so why don’t you head on over to do that and then come back and figure out which trips to go on with me? On Wednesday, 22 January, I’ll be at the Ritch Grissom Memorial Wetlands at Viera. I love this place. Last time I was at Space Coast there were tons of great birds there including Gray Kingbird (which was a lifer) and Limpkin. Not only that, but the trip will also feature Dan Click, who knows Viera like I know parks in Queens, and ABA President Jeff Gordon! For more coverage from 10,000 Birds about visiting Viera check out Mike’s post from 2010 or Nate’s from this past January. On Thursday, 23 January, I will be helping lead Laura Erickson’s field trip to Blue Heron Wetlands, which features many of the same birds as Viera. This will be a smaller trip in terms of participants, and I really look forward to birding with Laura, who I have only met, briefly, once. 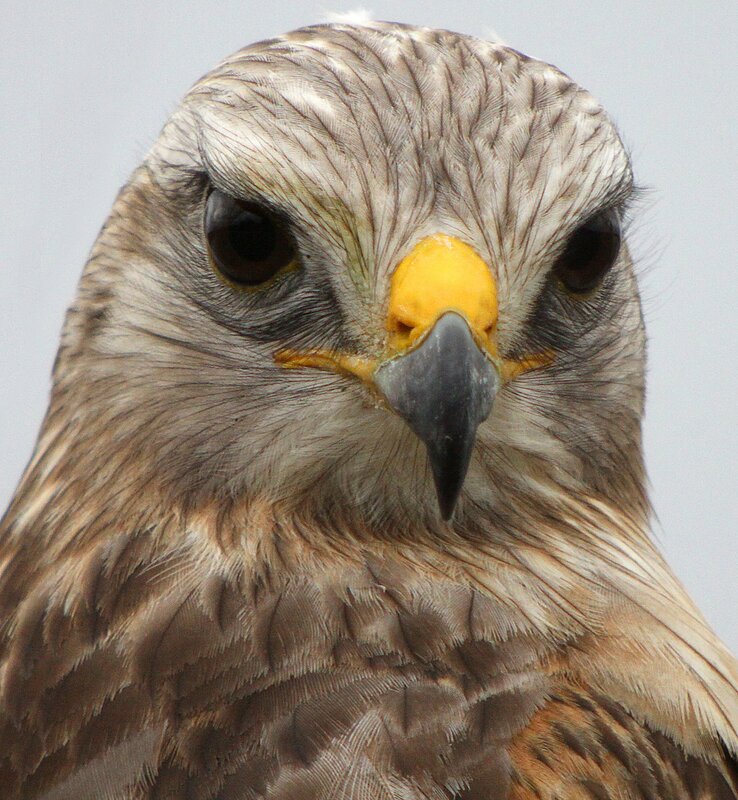 My favorite part of Blue Heron Wetlands two years ago was this amazingly awesome “Florida” Red-shouldered Hawk, though there are lots of other great birds to see there as well. On Friday, 24 January I will spend the morning hours on the Pastime Princess, cruising along the coast photographing seabirds. I am not a leader on this trip, but a participant. The leaders are Tom Dunkerton, Jim Boland, and Nancy Carona. I know only Tom, and that only through Facebook, but his pictures are consistently outstanding and it is always fun to be on a boat. The closest I came to a boat two years ago was checking out the gulls in Daytona Beach (which is a trip you probably want to go on if you like gulls). Who doesn’t like seabirds? On the evening of the 24th I will try to make up for my failure to see or even hear a Black Rail last time around on the dedicated Black Rail field trip to St. John’s National Wildlife Refuge. Mike Legare will be the true leader of the trip though I will be there to help. 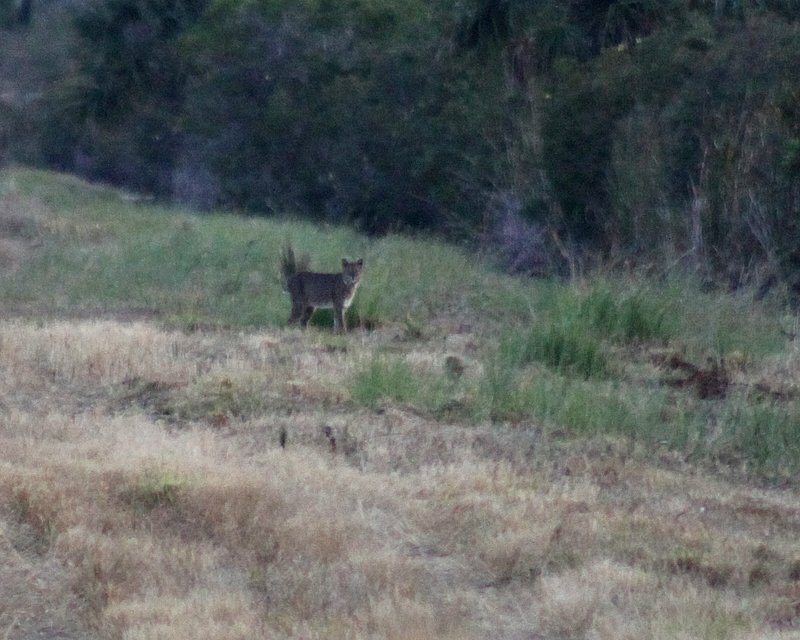 We did see a Bobcat on the Black Rail trip I was on two years ago. Bring water. Be prepared to walk 2-3 miles, some of which may be through mud and standing water. It can sometimes be wet in areas, so rubber boots are recommended as well as insect repellent. It is also a fairly lengthy walk so water and trail snacks are advised. I did find this report from the same field trip in 2008, when they had over sixty species on the field trip so this could be a really productive and fun outing!